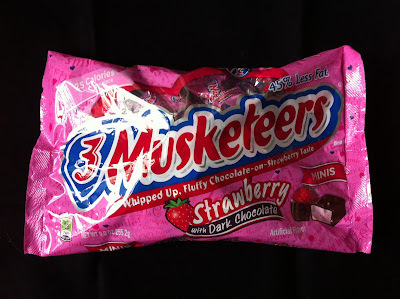 In the past, I've reviewed limited edition 3 Musketeers Cherry and Marshmallow minis (read reviews here) and I loved them. This latest foray into special edition flavors wasn't quite as enticing. 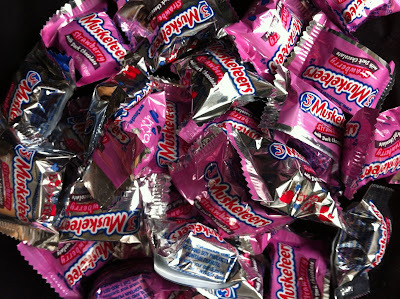 Strawberry 3 Musketeers are cloyingly sweet and so artificial in flavor that I couldn't get past one or two bite-sized minis (as compared to my compulsive indulgence in the past limited edition flavors). I do like the dark chocolate to offset the strawberry but nothing could offset this strawberry enough. I would have given these a score of 2. However, I brought the bag of minis to work and some colleagues enjoyed the overly-sweet sweets. All noted that they prefer the original to the strawberry but the bag did disappear very quickly. 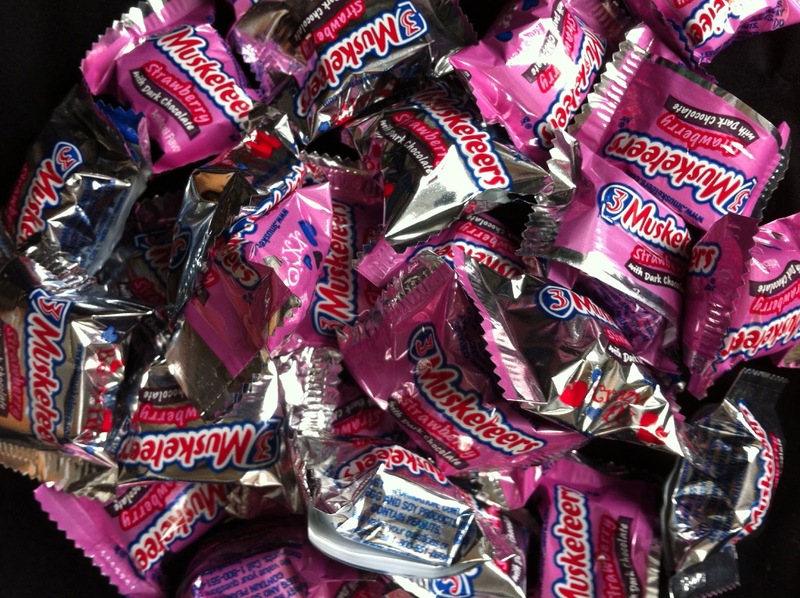 I hope 3 Musketeers will keep producing new and enticing flavors- there are a lot of possible variations that would be so decadent and delicious. Maybe you should add another score at Obsessive Sweets: how quickly the sweets in question disappear at work. When I was at Macmillan, the books that disappeared from the storage room were destined for success.